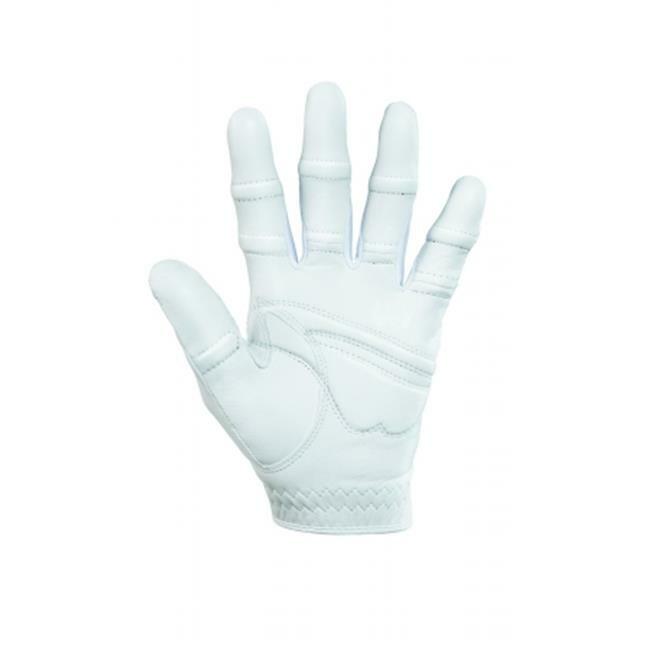 The new Bionic StableGrip Golf Glove with Natural Fit features enhanced three-dimensional finger pads and a tapered finger design to conform to the natural shape and contours of your hand anatomy for better grip, comfort and durability. The Lycra gussets and web zones eliminate bunching of leather between the fingers and give a more natural, "broken-in" fit and feel. Bionic patented pad technology provides a stable, yet relaxed grip to keep the club from twisting at impact, resulting in more confidence with each shot.